April 1912. 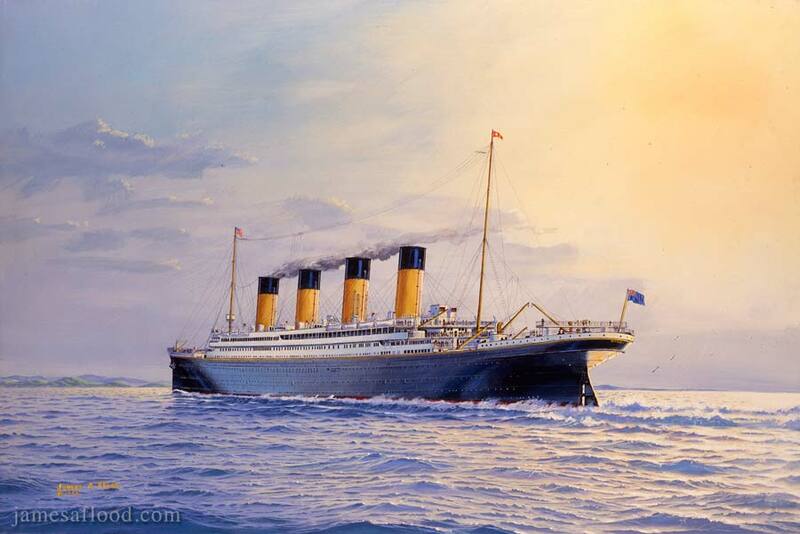 The Titanic approaches Queenstown, Ireland, where she will make a one-hour call to collect her final passengers before setting sail to New York. In this painting she is cutting across St. Georges Channel, her fine lines and elegant counter stern dramatically displayed against the quiet iridescence of a fine Hibernian morning. RMS Titanic on the Morning of April 11th ,1912.